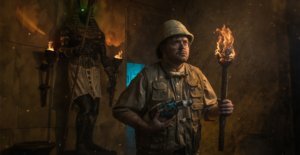 Red Giant: #1 Immersive Escape Room in LA! 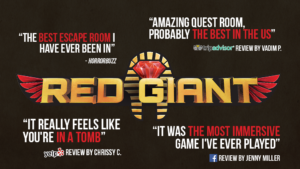 We’re extremely thankful because we’ve worked hard to make Red Giant a completely new escape room experience. It was an ambitious endeavor and it is our most technologically advanced room, integrated with uniquely engineered puzzles. 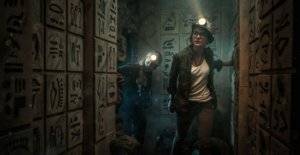 It strives to offer the experience QuestRoom continues to aim for: total immersion. 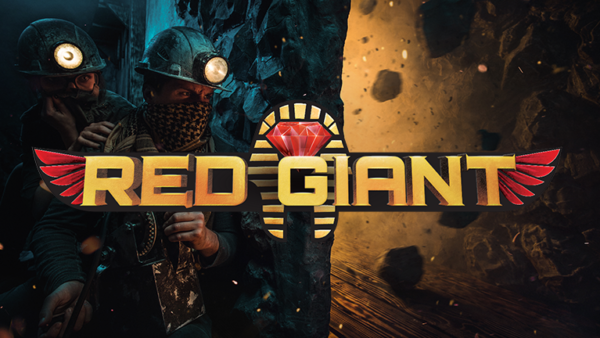 If you have any plans this weekend, Red Giant would be a perfect room to do with your friends and family!